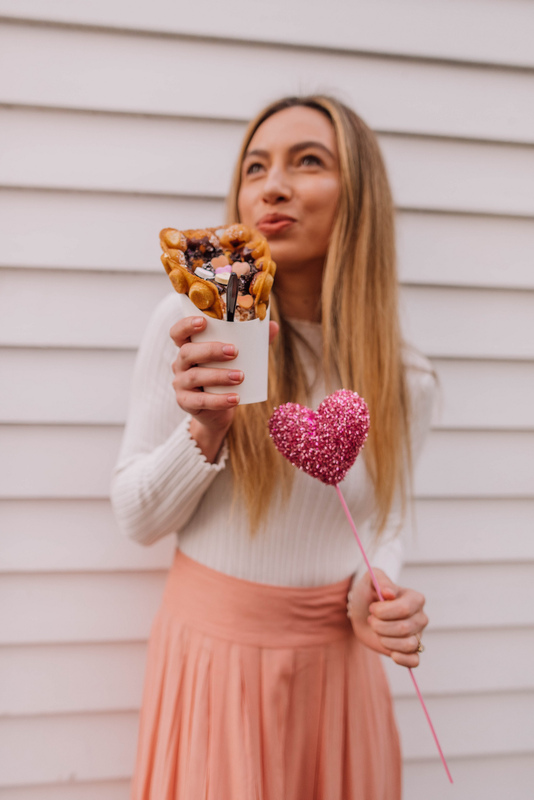 Whether you’re celebrating Galentine’s Day on February 13th or celebrating Valentine’s Day on the 14th, I hope have plenty of hearts, flowers, or sweets! 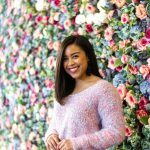 I personally am a sucker for everything pink and red so Valentine’s Day and Galentine’s Day are so much fun for me. 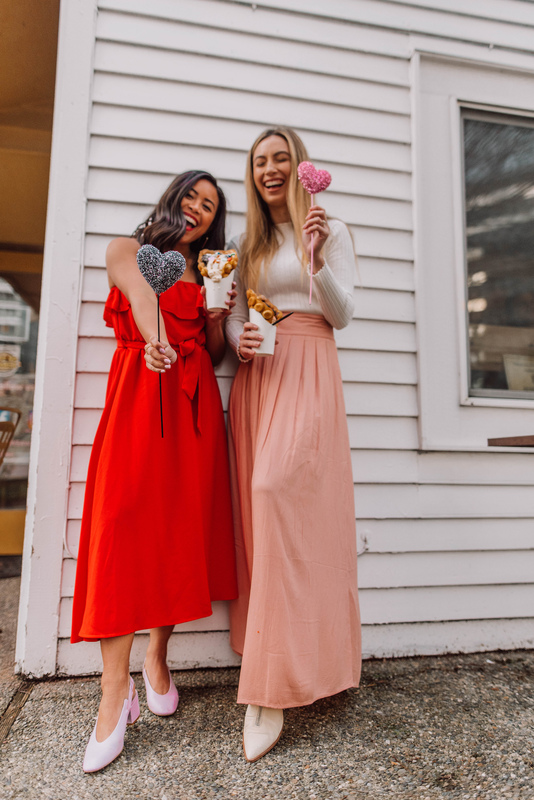 My friend Maddy from @madcrayy and I teamed up to bring you some Galentine’s Day/Valentine’s Day outfit inspo. 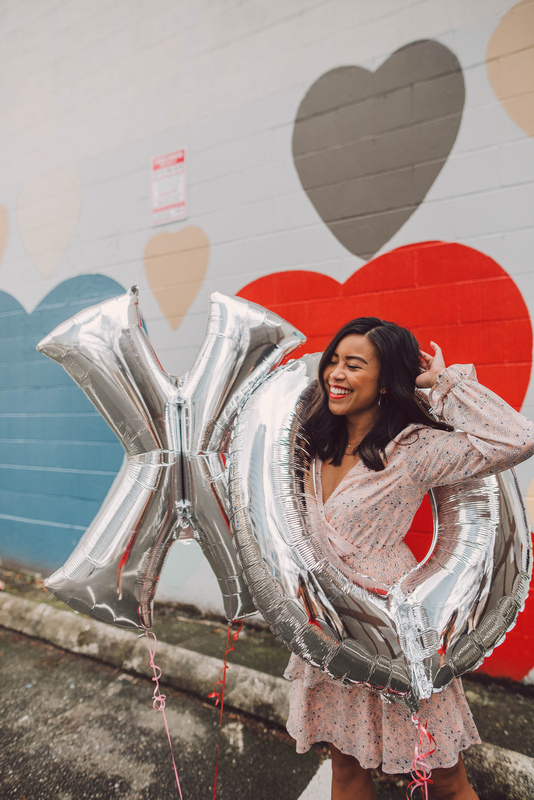 I recently discovered this heart painted mural wall on Instagram and I knew it was the perfect location for our photo shoot! 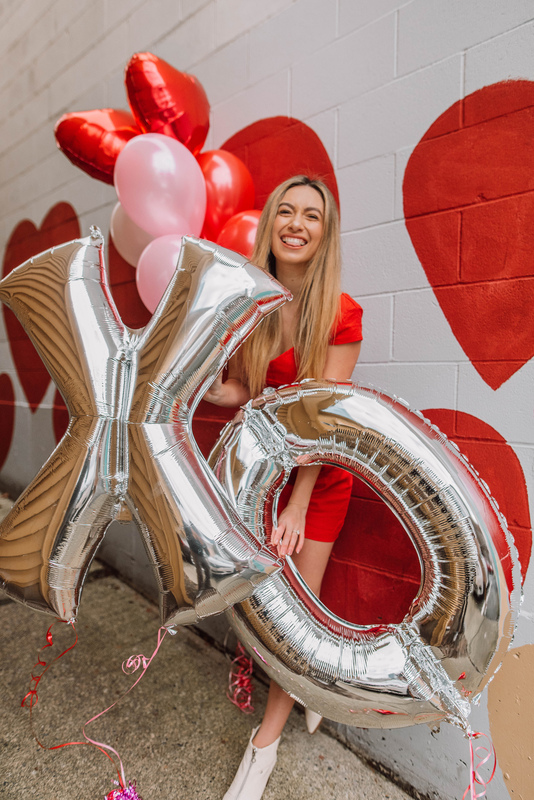 We added giant balloons and some flowers to round out Valentine’s Day outfits. 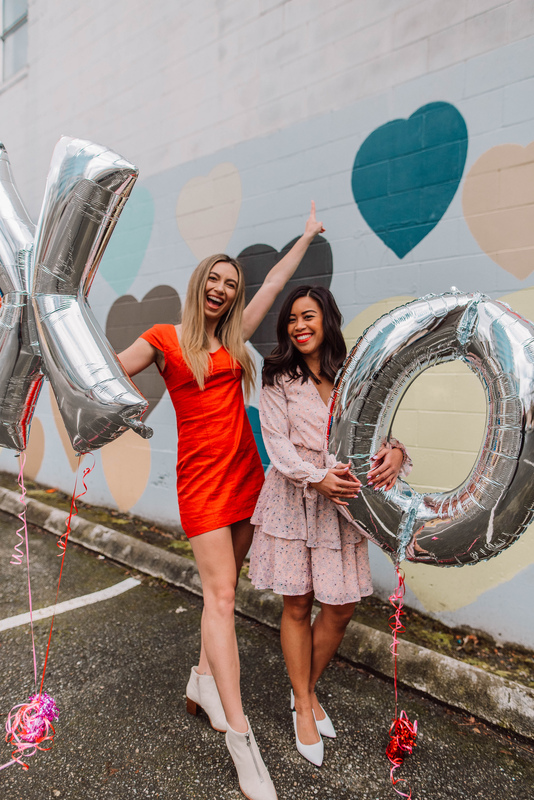 If you’re looking for Valentine’s Day outfit ideas for a date night or Galentine’s Day inspo to throw a party for your gals, this blog post is for you! I couldn’t resist this adorable light floral pink dress. The slight ruffled elastic cuffs and the sliver threading are some of my favorite details. Shout out to Lulus for gifting this adorable dress! You can find this exact dress here: Room to Bloom Light Pink Floral Dress from Lulus. Maddy wore this fitted cap sleeve red bodycon dress – and it looks darling on her! She styled them with white heeled booties. 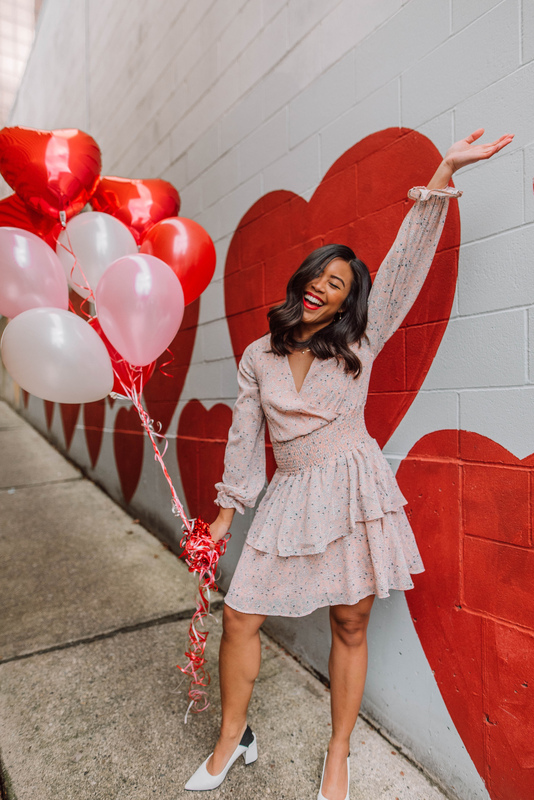 I loved her classic red dress because I could totally see her wearing this on a date night with her fiancé or even a Galentine’s Day brunch with her girlfriends! 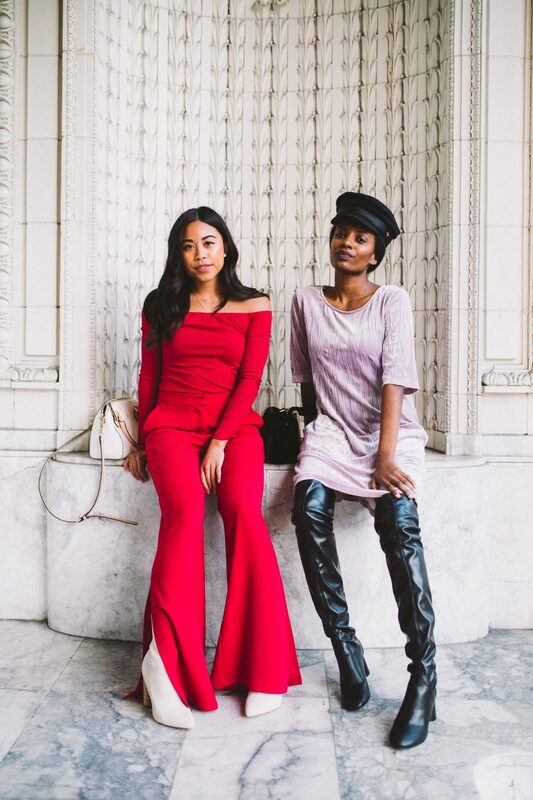 If you’re planning on going out to dessert with your girlfriends or your significant other, a red midi dress is a great choice! Maddy and I decided to end our Galentine’s Day date at Blank Space Café in Bellevue and it was so yummy. 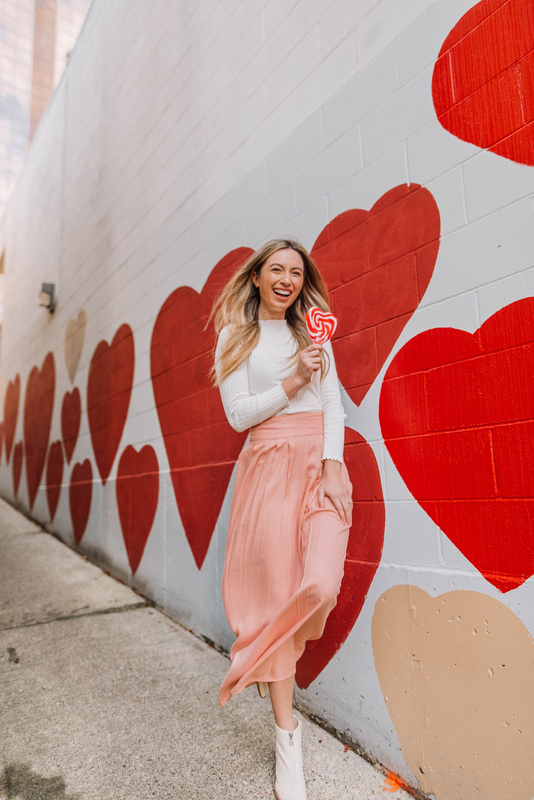 If it’s a little chilly on Galentine’s Day, opt in for a maxi skirt and long sleeve white top like Maddy! I absolutely loved the color of her long skirt. 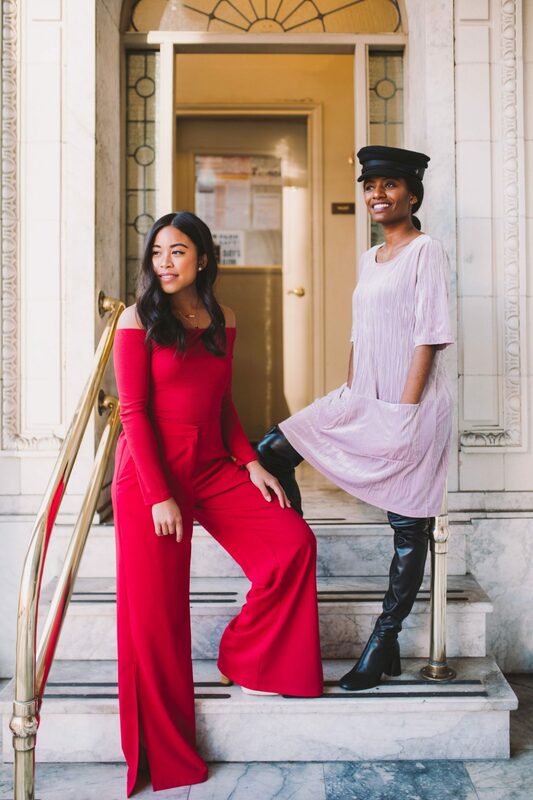 I was feeling extra bold last Galentine’s Day with this red jumpsuit – it’s actually two separate pieces that happen to be the same exact color red! I didn’t have time to get these pants hemmed so I wore my tallest heeled booties! 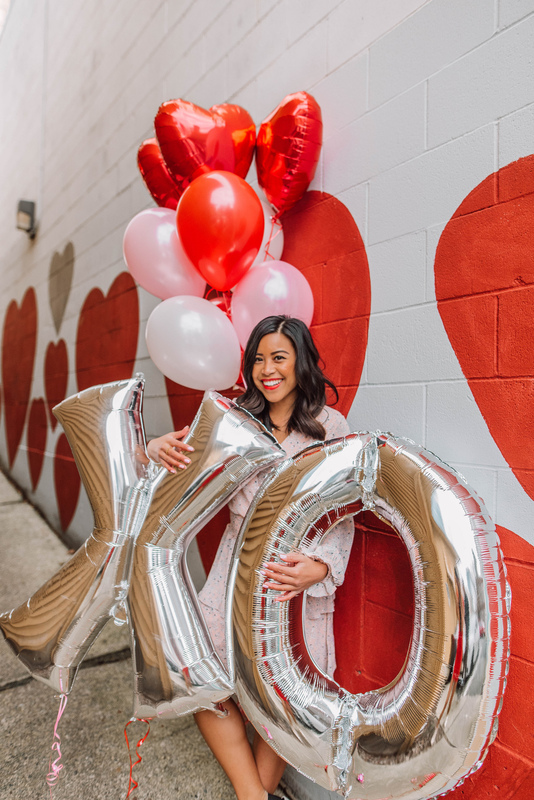 Last year, my friend Ribicca and I got together for a Galentine’s Day shoot. She wore this pink shift dress (that had pockets), over the knee boots, and a pageboy hat. Ribicca can literally pull anything off! I loved how she did the tall boots and short dress together. 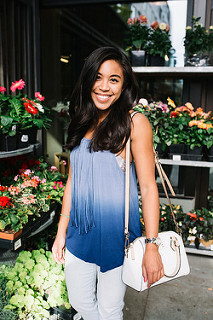 To check out more outfit photos, you can head to: 4 Pieces of Advice for the Aspiring Girl Boss. 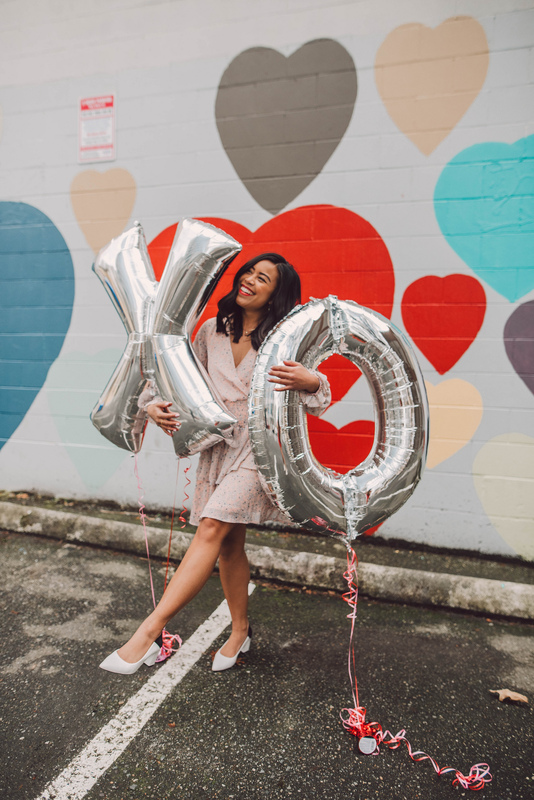 Are you looking for what to wear for a Valentine’s Day dinner? Try a velvet pleated skirt and a pink top! My velvet pleated skirt is one of my favorite pieces for the winter season. To see more photos of this outfit, you can check out: My Biggest Blogging Insecurities + How I’m working to overcome them! 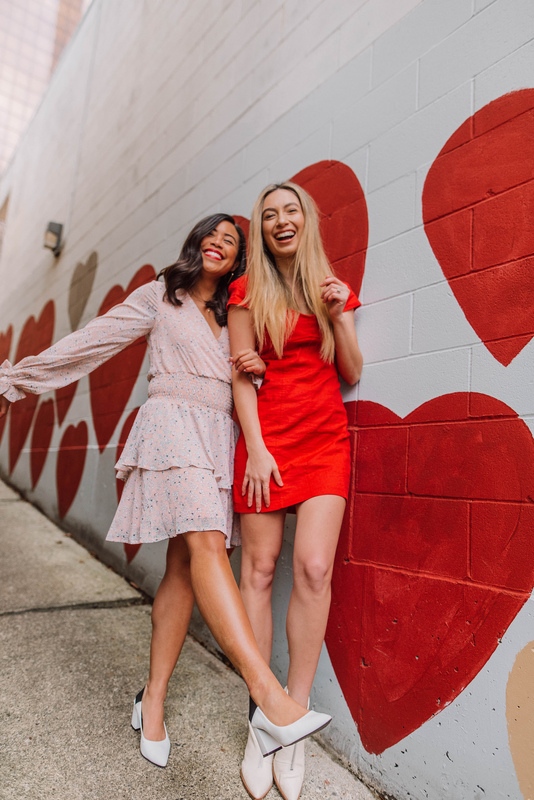 What are you wearing this Galentine’s Day or Valentine’s Day? 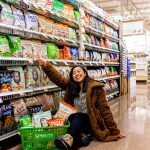 Don’t forget to follow my friend Maddy on her on Pinterest and blog Madcrayy!She’s also a local Seattle blogger, side hustler, and a boss babe! Next Post Hello Sprouts! Welcome to Lynnwood!